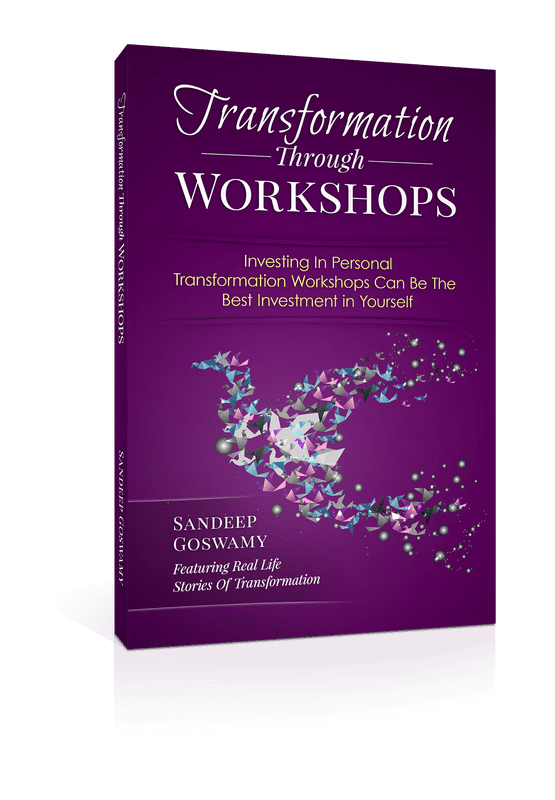 Investing In Personal Transformation Workshops Can Be The Best Investment in Yourself ! Did you ever stop and think about why do some people get so enthusiastic about attending personal growth workshops and seminars? In this book, I will reveal to you the benefits that these people get out of attending them. ​Workshops are an experiential way to KNOWING while books, videos, classes & lectures etc. are a way of merely LEARNING what someone else has known through their own experience. Even this book that you are reading will only make you learn what i have experienced and have come to know from my experience of attending and organising so many wonderful workshops over the last over a decade. You can teach a child many things but how many of those they will remember? For example if you have to teach a child to stay safe from let’s say something like fire... In a workshop he will be taken through a experience of getting burnt in a controlled environment which is comparatively safe but is a experience enough that the child will never forget in life even while sleeping.. This is the power of experiential learning.. I am reminded of John Buchan’s assertion, “The task of leadership is not to put greatness in humanity, but to elicit it, for the greatness is already there.” As a player in this platform of education, I have had countless conversations with young people on the importance of challenging our thoughts and the difference between ‘Learning’ and ‘Knowing’. In my mind ‘Learning’ is an ongoing journey, that desire to quench a need to expand and develop. ‘Knowing’ on the other hand is established, a culture that embraces the familiar to the point of dangerously not looking any further. During my own journey over the last over a decade I’ve been extremely fortunate to have attended some of the most brilliant workshops ever with some of the most powerful facilitators from across the world. Having been connected to them closely at a personal level being also the organiser of some of them, it’s been a great privilege which I consider as priceless. In this book you will find different sections in addition to answers to the main question that this book deals with i.e. “Why is it important to invest your time and money in attending workshops?” . There are sections on “How to choose which workshop is meant for me?” explaining simply how you can save time & money by not investing in the wrong ones & How to optimise your investment after attending a powerful workshop. I have also included a chapter to help you step by step ways to not only empower yourself but also empower people around you. You may also decide to take up the transformation as a lucrative and fulfilling profession. I sincerely hope that you will enjoy reading this labour of love, created out of a strong desire to help you into being the change that changes everything around & create the kind of world you wish to live in.